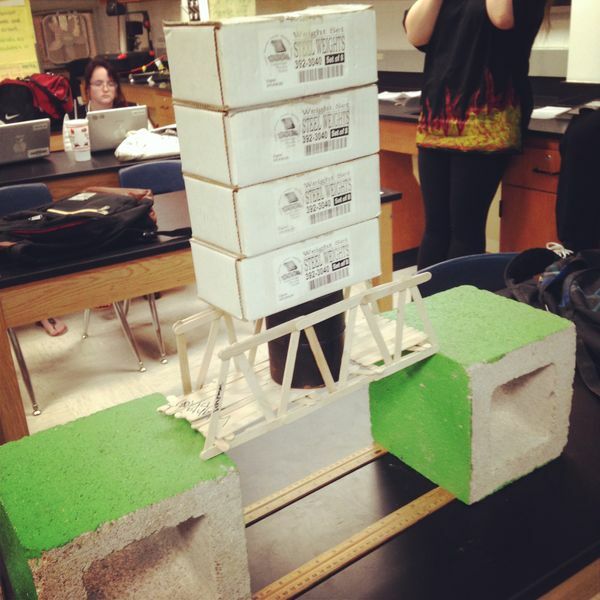 Physics students had their Popsicle stick bridges tested for strength today. It's amazing how strong these bridges are! Seeing them also brought back fond memories of my own physics students, who built spaghetti bridges when I was out of class for golf tournaments.